Visitors enjoy spectacular views of the cherry blossoms in Washington, DC from a boat cruise during the National Cherry Blossom Festival. Here is a guide to help you plan a great sightseeing experience. Times and prices are subject to change. Please confirm them when making your reservation. March 20-April 13, 2019. Board from 580 Water Street SW for these lunch, brunch and dinner sightseeing tours. The two-to-three hour cruise on the Potomac includes a private table with plated meal or buffet brunch, and a dance floor with a live band. Take in the cherry blossom views from the glass-enclosed boat. Lunch starts at $65.90 per person, brunch starts at $77.90 per person, and dinner starts at $114.90. March 23-April 14, 2019. Board at Washington Harbour, 3100 K St. NW or the National Mall: intersection of Ohio Drive SW and West Basin Drive near the FDR memorial for this narrated 50-minute river tour that takes passengers around the blossoms in West Potomac Park along the monuments and then arrives at the Tidal Basin. Cost: $24/adults, $22/students and $12/children. Depart from either The Wharf, Old Town Alexandria, Georgetown or National Harbor with Potomac Riverboat's many different cruising options during the festival. There's The Wharf Sightseeing Cruise with a 40-minute narrated sightseeing tour, which starts at $20 and is offered daily. A 50-minute sightseeing tour also departs from Georgetown Mondays through Fridays during the festival, with prices beginning at $17. 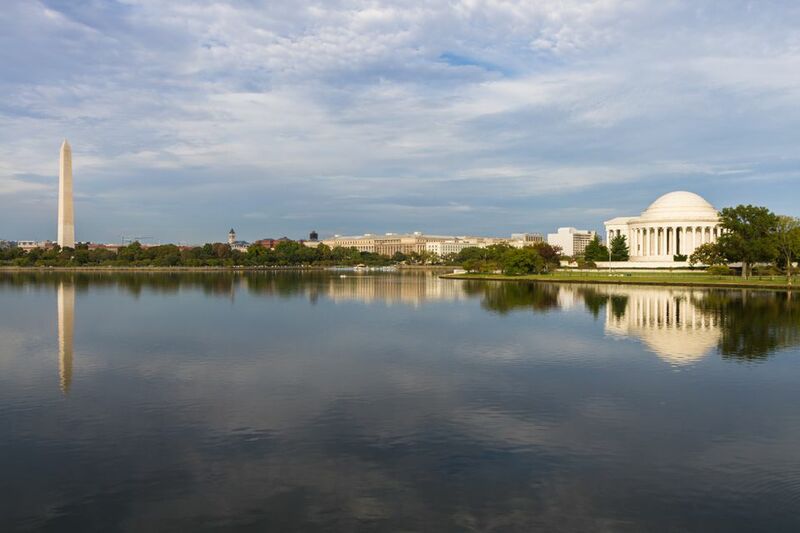 The Washington’s Monuments Cruise on weekends departs from Georgetown and Alexandria and offers views of the cherry blossom trees, priced at $30 and up. Or keep it simple with a 25-minute water taxi ride from The Wharf, Alexandria, Georgetown, and National Harbor, offered daily with prices from $18 round-trip or $10 one-way. March 25-April 15, 2019. Take a Cherry Blossom water taxi from Washington Harbour at 3100 K St. NW in Georgetown to the Tidal Basin and enjoy viewing the blossoms from the water along the way. Tickets are $25 (adults) and $12 (children) round-trip. This sightseeing cruise is weekends only.